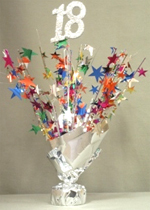 Multi Colored 90th Balloon Centerpiece is a weight covered in silver metallic material. Multi colored stars burst from the center. 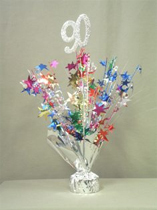 A glittered “90” stands 14″ tall. 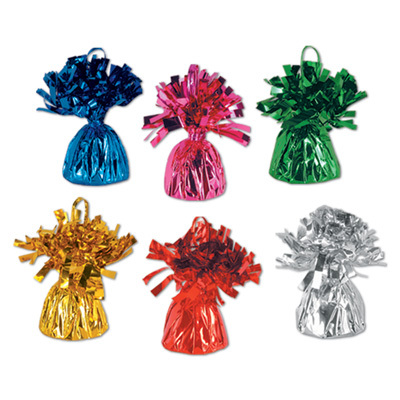 These multi colored “90” balloon centerpiece weights are heavy enough to hold a lot of balloons, but they also look good just by themselves. They are all age related and have the age in glittered foam at the very top of the centerpiece. 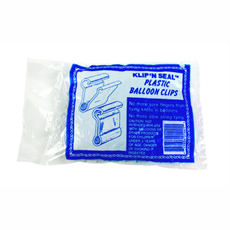 Perfect for centerpieces, just fluff them out a bit, tie on balloons if you like and set them in the center of the table.